Students in Grades 3-5 at the Rhode Island College Henry Barnard Laboratory School will perform a public concert on instruments they designed on their own and made from recycled materials. Thursday, Feb. 8, 6:30-8 p.m. Cost is $5 per person in advance; $6 at the door. Tickets will go on sale Tuesday, January 16. Inspired by the film and the corresponding book, “Ada’s Violin: The Recycled Orchestra of Paraguay,” students in Grades 3-5 designed their own instruments from recycled materials and will share their progress with members of the Recycled Orchestra via Skype. 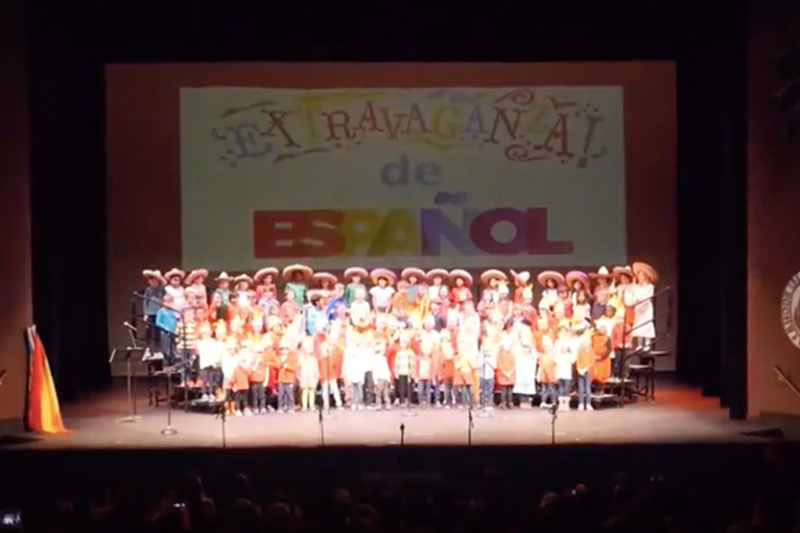 This immersive project culminates in the “Extravaganza de Español” concert, which also features plays and songs in Spanish. The Henry Barnard Laboratory School was founded in 1898 as one of the first laboratory schools in the United States. In association with RIC’s Feinstein School of Education and Human Development, we serve as the only laboratory school used for the training of future teachers, educational experimentation, educational research, and professional development. At HBS, students gain a lifelong passion for learning, the confidence to innovate, and the skills to explore and navigate the world with a sense of wonder and curiosity. Established in 1854, Rhode Island College serves approximately 9,000 undergraduate and graduate students through its five schools: the Faculty of Arts and Sciences, the Feinstein School of Education and Human Development, the School of Business, the School of Nursing and the School of Social Work. For more information, visit www.ric.edu.